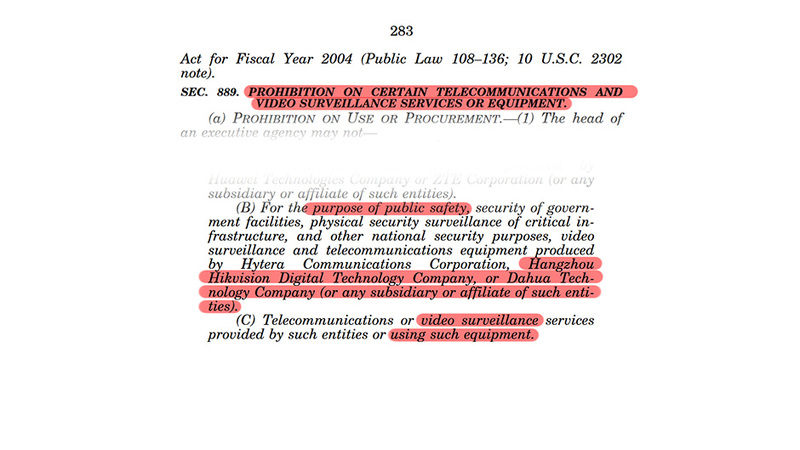 The US President has signed into law the 2019 NDAA which specifically and explicitly bans Dahua and Hikvision products. The entire house bill is 1,322 pages long, the above image is the highlight involving our industry. You can find the entire bill here. The insecurities and vulnerabilities of their devices, as well as their direct link to the Chinese Government, are driving factors behind this ban. Many of you may recall that back in September of 2016 the Mirai Botnet broke world records performing DDoS attacks. This was the last red flag for Gen IV Technology; we issued a stop-ship on all Dahua products (did anyone else? ), and shortly thereafter stopped carrying Dahua altogether due to ethical and the "definition of security" differences. 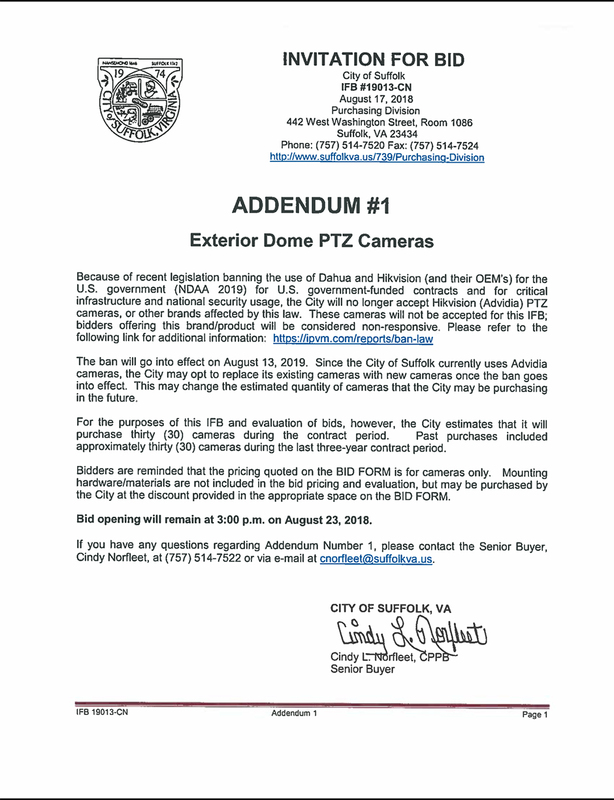 Following the Federal Government Ban Vermont and Suffolk, North Virginia have followed suit. We believe this is just the beginning of a ban-wave to spread across the U.S.